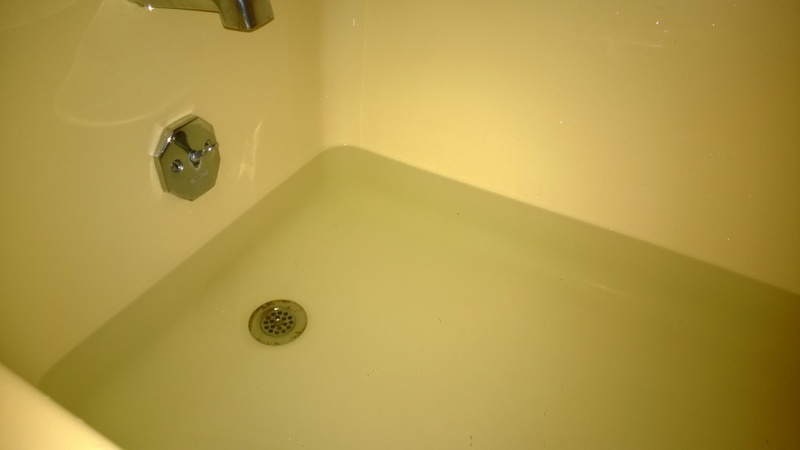 This is what 16 gallons of rain water looks like in the bathtub. See my Facebook page if you’d like to see a video of the trip from the house to the rain barrel. Five days ago a chemical spill contaminated drinking water in a nine-county area of West Virginia. We were the number two story on national news, right behind the Target credit card debacle. Warned to neither drink nor touch the water, I had no problem keeping my distance as just the fumes were enough to give me a headache. While many shifted into panic mode, fighting over the limited supplies of bottled water on grocery store shelves, I donned a familiar persona: Adventure Barbie. I instantly shifted into problem solving mode, dipping rainwater from bird baths to heat on the stove for a Friday morning sponge bath. I inventoried the containers of water we had on hand and was thrilled to discover five gallons in the storage room, left over from the Y2K scare. My friend Elizabeth Heiser called it “Vintage,” which made the 14-year-old water seem even more precious. With warming temperatures and rain in the forecast, we awakened the rain barrels from winter hibernation. We enacted home-wide water conservation procedures, and Dannie, as well as all affected employees, received a case of drinking water from The Home Depot before they sold the rest to the public. Sunday found me foregoing my usual treadmill workout in favor of toting rainwater from the cottage to the house. I made eight trips, carrying two gallons (16 pounds) each time. I covered 1.7 miles in just under an hour. It was quite a workout, including two flights of steps each trip to get to the third floor bathtub. I’ll never look at a full bathtub the same, that’s for sure. Sunday night we traveled 15 miles to St. Albans, where our friends Linda and Matt Higgs allowed us to use their shower. They also generously offered glasses of wine, some wonderful conversation, and fresh water for our empty containers. Yesterday I contemplated how two-thirds of the people in the world do not have running water. Many spend hours every single day locating and carrying water for their families. Each time I walked the cottage path to the rain barrel, I sent love and compassion around the world, feeling connected in a way I never had before. I also lifted up enormous amounts of gratitude for my many blessings. A couple of hours ago I received a call from the water company notifying me that our zone had been cleared. It took about 30 minutes to perform the pipe flushing procedures, and now life can return to normal. Even as I acknowledge the many who suffered tremendous financial loss as a result of this water crisis, I send appreciation to my Adventurous Problem Solving Self for eschewing victim mode, adopting a good attitude, and keeping myself and our dishes clean. Long Live Adventure Barbie!!! I think I need a red cape … but first, a hot shower!